Worldwide icon-chevron-right North America icon-chevron-right United States icon-chevron-right California icon-chevron-right Los Angeles icon-chevron-right The best hot pot restaurants in L.A. 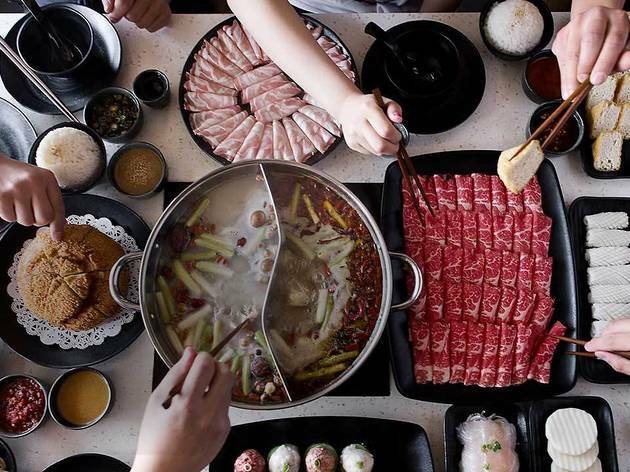 The best hot pot restaurants in L.A.
There’s no question Los Angeles is a place where people like to fine in big groups, so it only makes sense that communal stock pot cooking, also known as hot pot, would be big here. 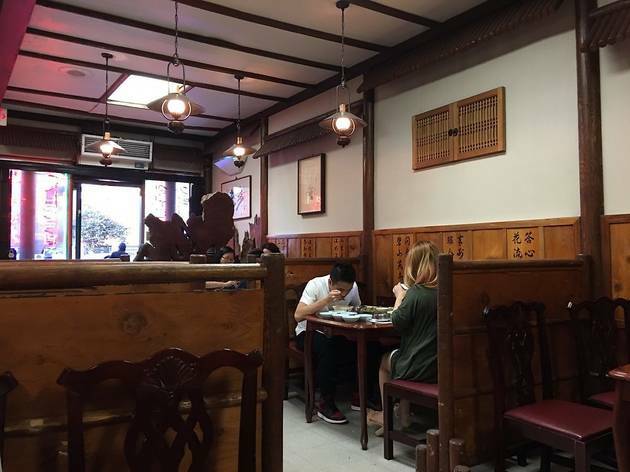 Though most commonly Chinese, we’ve got a multitude of East Asian spots from Japanese to Korean and Mongolian. 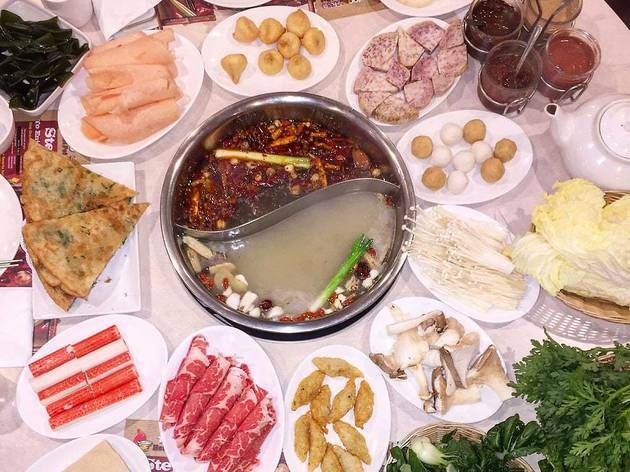 Here are some of our favorite hot pot restaurants. L.A. is packed with great Japanese and Chinese hot pot, but great Mongolian can be harder to find. 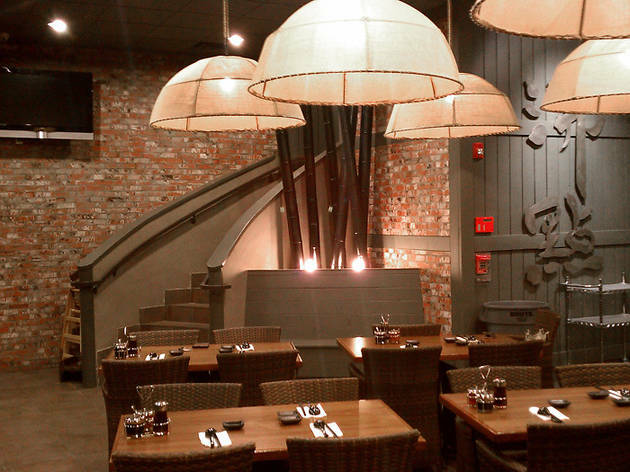 Pasadena’s Little Sheep is a welcome change. 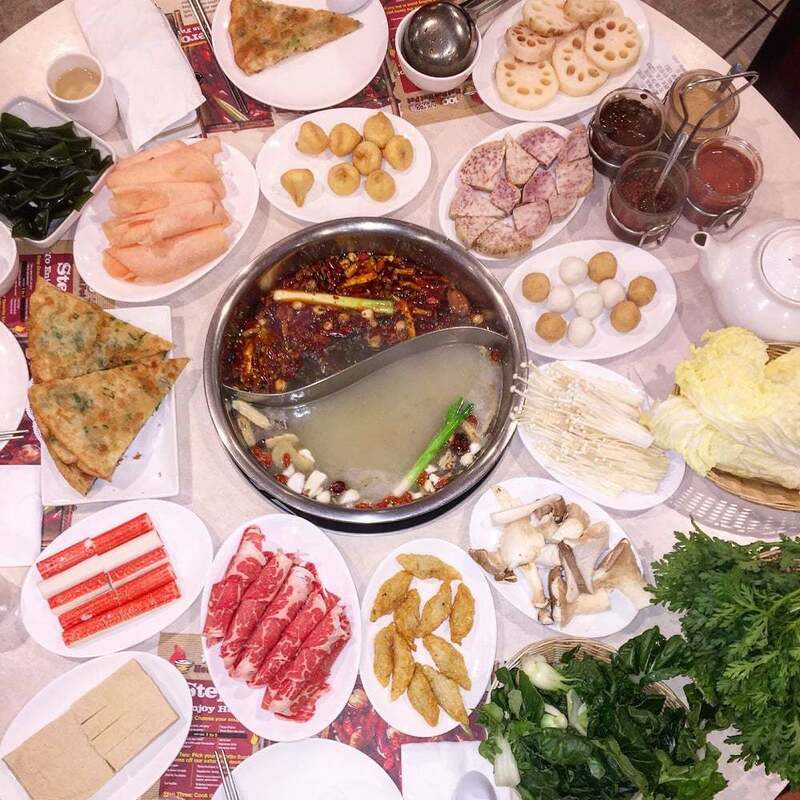 Once you choose either the original or spicy soup base, you can order the meats and veggies you want–with choices like rib eye, lamb shoulder, pork meatballs, surf clams, egg dumplings, wood ear mushrooms, fried starch balls and more–and then hit the sauce bar to find out just what you want to dunk it all in. Come hungry. At $128, the premium wagyu beef is probably the most expensive shabu shabu you’ll find in L.A., but it also might be the most worth it. No matter what pricey meat you go with, it’ll be served with seasonal appetizers, avonmore soup of the day, veggies, udon or zosui rice soup, house pickles, and dessert. 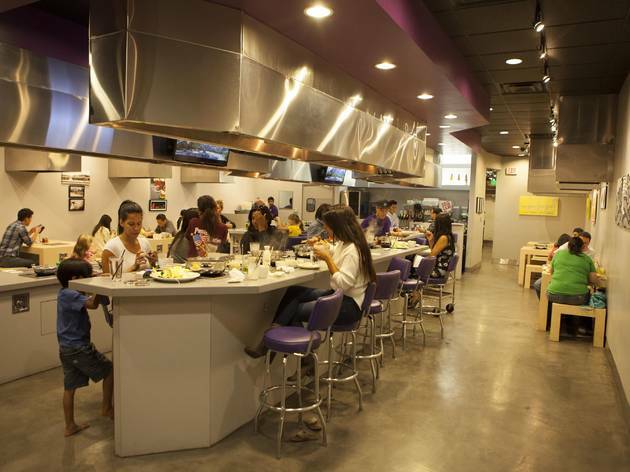 Think omakase, but for hot pot. 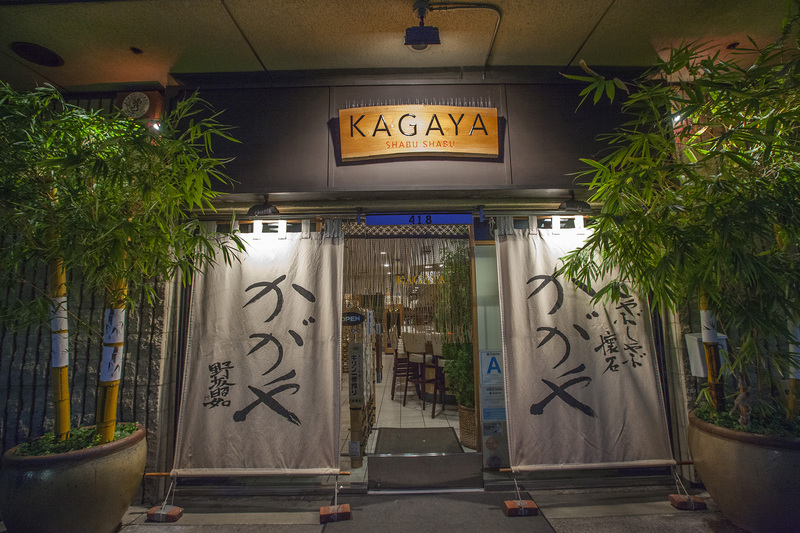 Kagaya is no joke, so be sure to make a reservation. For tasty Shabu Shabu that won’t run you a cool hundred dollars, make sure you visit the appropriately named Shabu Shabu House in Little Tokyo. For under $20 you can do it big with excellent beef—albeit, a relatively simple menu. Whatever you get, it will be served with peanut sauce and ponzu sauce (both of which you should be using liberal amounts of), vegetables and noodles. Try to show up early, as there is almost always a wait. 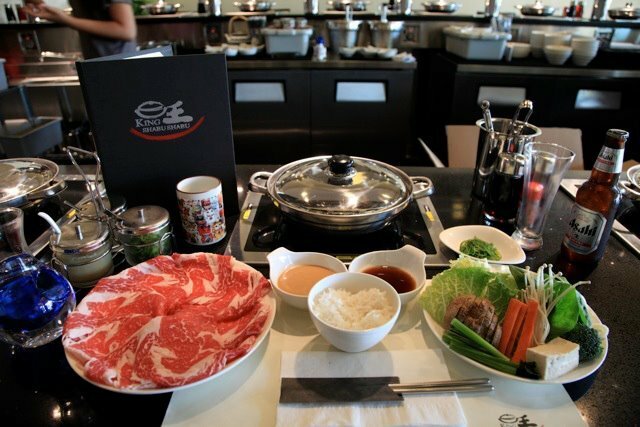 Yes, you may leave Joon Shabu Shabu smelling like your food, but trust us—it's totally worth it. 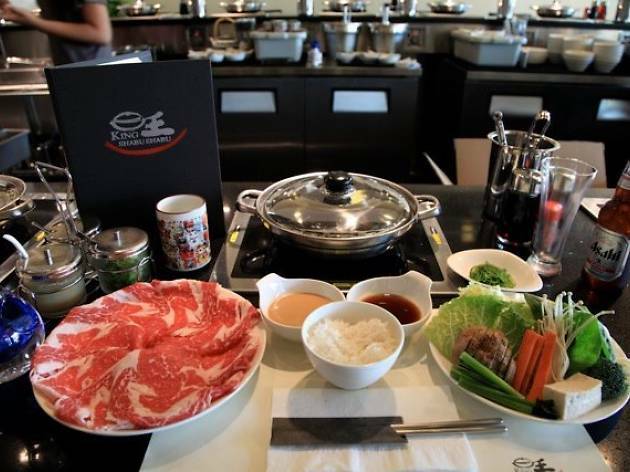 The shabu shabu house offers a number of ways to enjoy the traditional Japanese feast, ranging from Miracle (Angus beef served over a bed of steaming vegetables) to Sukiyaki (a more old-school shabu shabu experience, featuring beef, udon noodles, veggies and tofu cooked in a savory broth). There are vegetarian options as well, and each dish allows you to choose from one of Joon's many homemade sauces—beware of the Sizzler sauce, which uses fiery Indian chilies for a hearty kick. Cool off with some mochi to finish your meal. 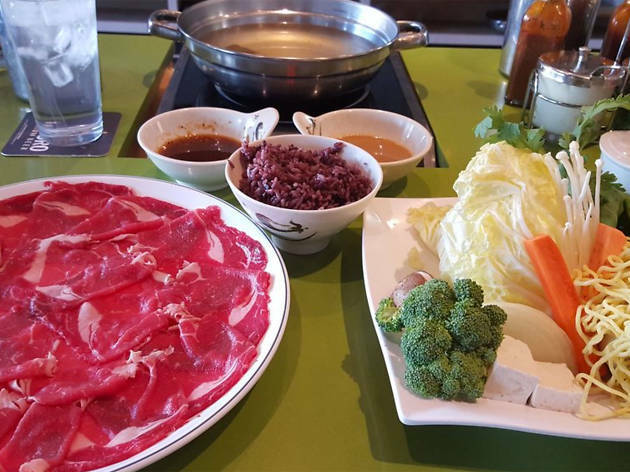 King Shabu Shabu serves everything from salmon, mussels, shrimp, pork, scallops and five grades of premium beef. You can build your own bowl and make it as spicey as you'd like. And if you need a little help washing it down, this modern spot has plenty of sake to help you out. There's also another location in Torrance. 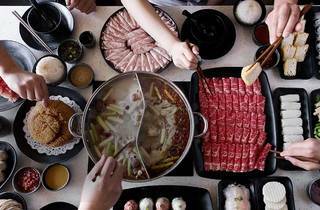 Once known as Little Fat Sheep, this Monterey Park staple is now known as Hot Pot Hot Pot, also the name of the house specialty—fiery Mongolian soup. 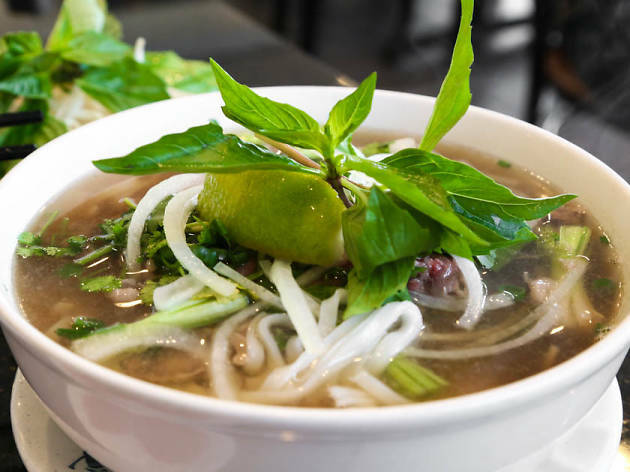 Order up the flavorful soup in varying levels of spiciness along with plates of sliced meats, vegetables, noodles and other cook-it-yourself goodies to plunge into the bolling broth. Try the scallion crispy pancakes or the seasoned jellyfish to start and knock back a Tsing Tao to wash it all down. Big parties can feast family-style, as the restaurant is happy to accommodate on one condition: a group photo for their collection. Yojié thinks of itself as “An art gallery and a restaurant at the same time,” which makes sense when you see the walls loaded with art, skateboards and other fun things. If the word “fondue” is weird to you, don’t worry, it’s not actually cheese. 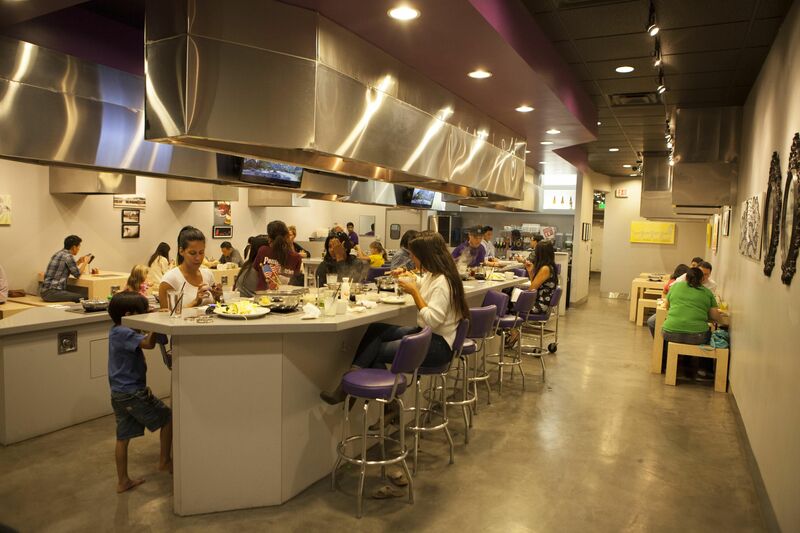 Yojié has been around for a decade and is definitely considered one L.A.’s biggest shabu shabu pioneers. 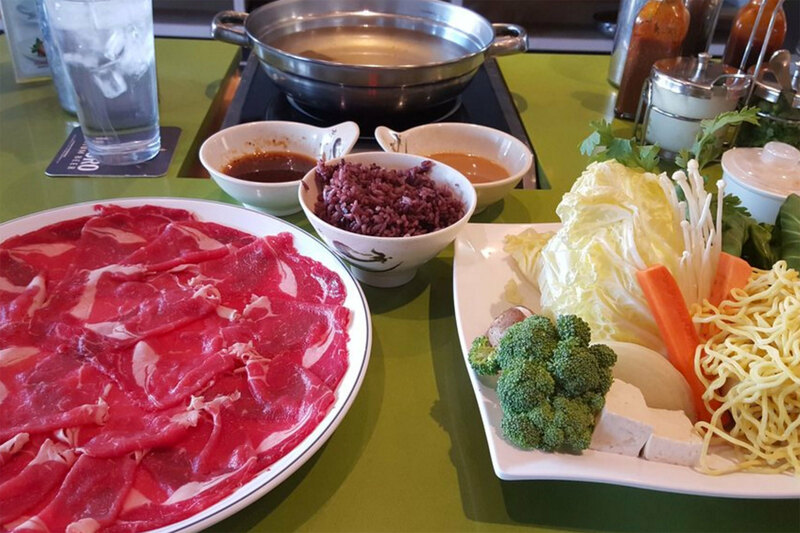 Diners can choose between standard shabu shabu dashi broth, sukiyaki broth, or spicy miso—topped off with noodles, meats and vegetables. And of course, chocolate fondue for dessert. 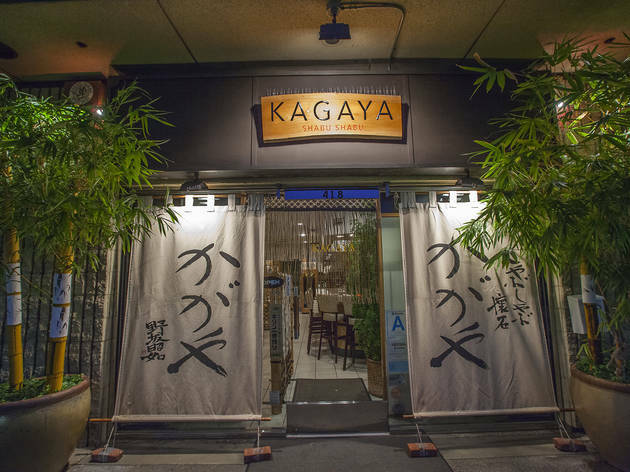 This Pasadena local fave is one of L.A.’s premiere Taiwanese hot pot joints. Boiling Point is a build-your-own soup kind of place, with 10 different starting points that you can add to with more meat, vegetables and other goodies (like lobster balls, spinach wok noodles, and pork intestines). They also tend to get fusion-y, including flavors from Thailand and Japan. And to top it all off, they’ve patented their hot pot system, so you know you’re dealing with real professionals. Looking for another hot soup? 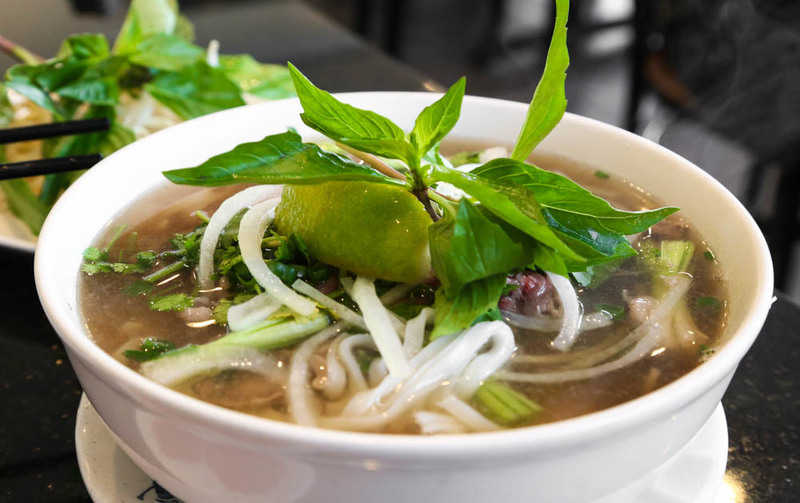 The best pho in L.A. 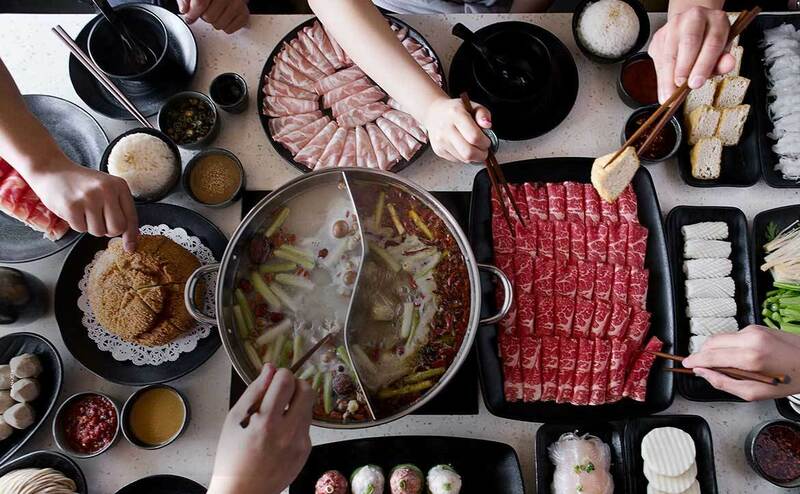 If you're not into hot pot, try one of these pho restaurants instead.